Luxury automaker Lexus has shifted gears, temporarily applying its technical expertise to the creation of a $10,000 bicycle.The hand-built Lexus F Sport Roadbike, which weighs a scant 15 lb and uses an electronically controlled derailleur, won’t be available for sale in the US. About 100 of the bikes will be sold to Lexus dealers in Japan as a way of demonstrating the company’s knowledge of carbon fiber construction and advanced electronics. Representatives of Toyota’s luxury car division told Design News that the bicycle, assembled at the company’s famed LFA Works, should be considered among the world’s most elite bikes. “That was our target, to put it up there with the world’s best racing bikes,” Paul Williamsen, global director of education strategy for Lexus International, told us. The new bike taps into the technical strength of the “skunk works-type” group that built Lexus’s LFA $375,000 supercar. Like the supercar, the F Sport makes liberal use of carbon fiber. Its frame, fork, seat, seat post, handlebars, and brake levers all employ the ultra-lightweight material. 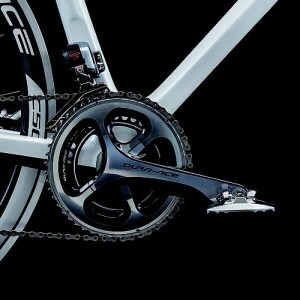 Similarly, the bike’s wheel rims use a combination of aluminum and carbon fiber, as well. By doing so, the engineering staff at the so-called LFA Works was able to keep the mass of the bike to just 7 kg, or about 15 lb. To build the bike, Lexus also teamed extensively with outside suppliers. Shimano Inc., a manufacturer of cycling components, provided the electronic control and carbon fiber components, 3T Cycling made the carbon fiber handlebars, and Panasonic Panaracer supplied low-rolling-resistance tires and inner tubes. Although the bike doesn’t take advantage of the LFA Works’ carbon fiber loom, laser cutting, or autoclave equipment, Lexus executives say it fits neatly with the company’s latest brand definition efforts. In an effort to more effectively carry its marketing message to the world, Lexus has recently branched out into other areas, producing films that premiered at the Cannes Film Festival in France and opening art galleries at high-end shopping districts near Tokyo.